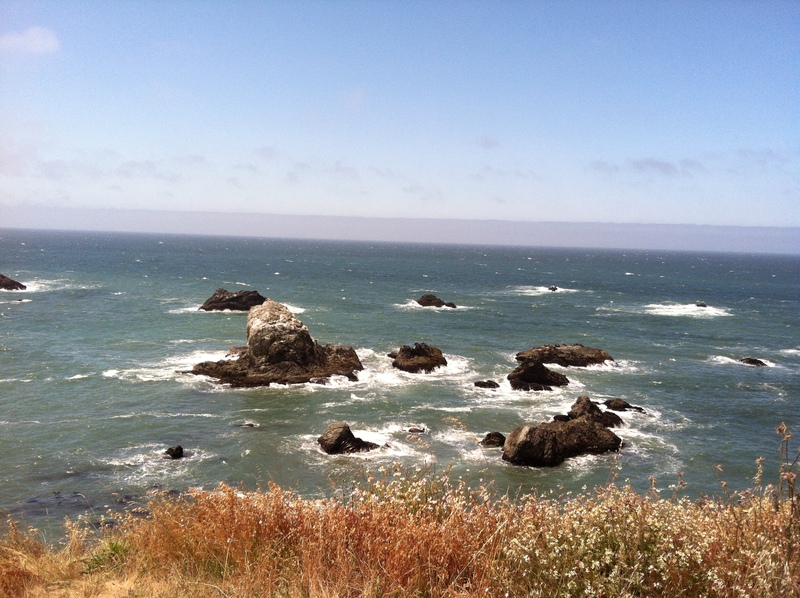 On day four we were headed toward San Francisco, or what I lovingly like to call the “Seattle of California.” In high school, after a family summer vacation to the city left me with a bad cold, I no longer consider it to be part of the Golden State. Not hating here; I love the city’s history and cool/hip scene. I even got my favorite tattoo in Haight-Ashbury! But sunshine and warmth ain’t its strong point. 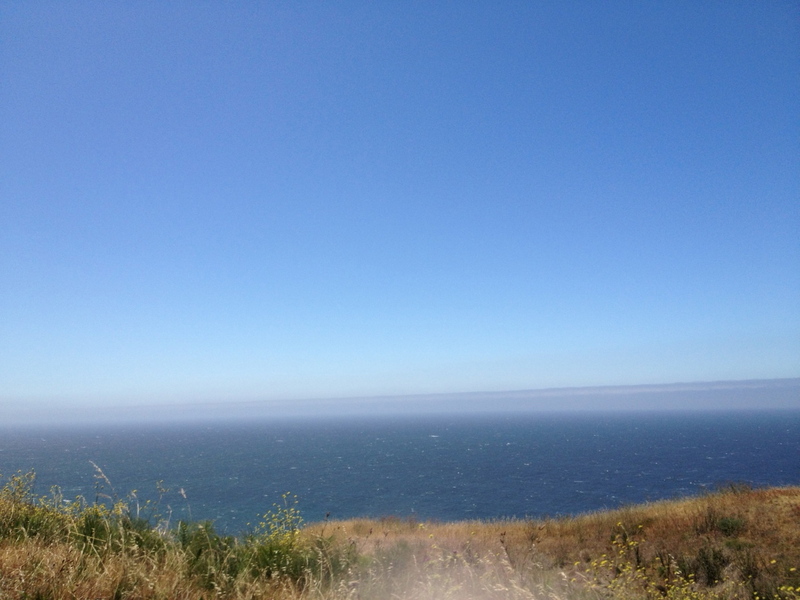 The drive to SF was one of the most memorable legs of the trip. 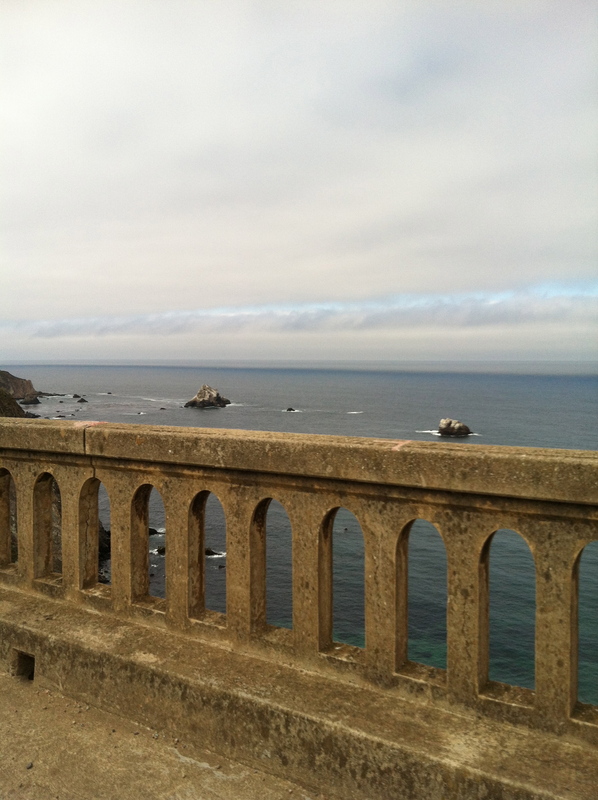 If you’ve never driven Highway 1, or the Coast Highway, along northern-mid California, do it before you die. It is GORGEOUS. And possibly an ab workout (bonus!). 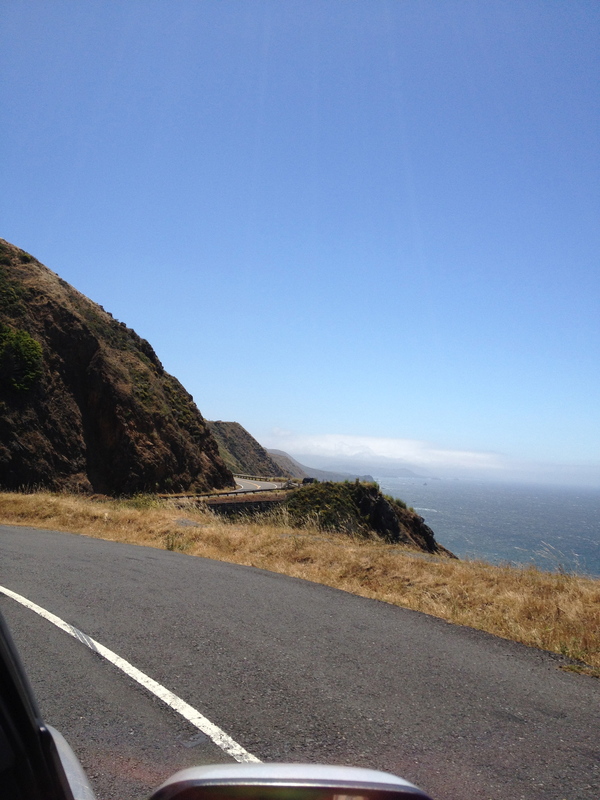 There are so many twists and turns on the road, some right at the edge of the cliffs, that I unknowingly started to tighten my stomach muscles while driving around each bend. Most likely out of nerves. Weird, I know. Won’t be the last time on this blog you’ll think that. 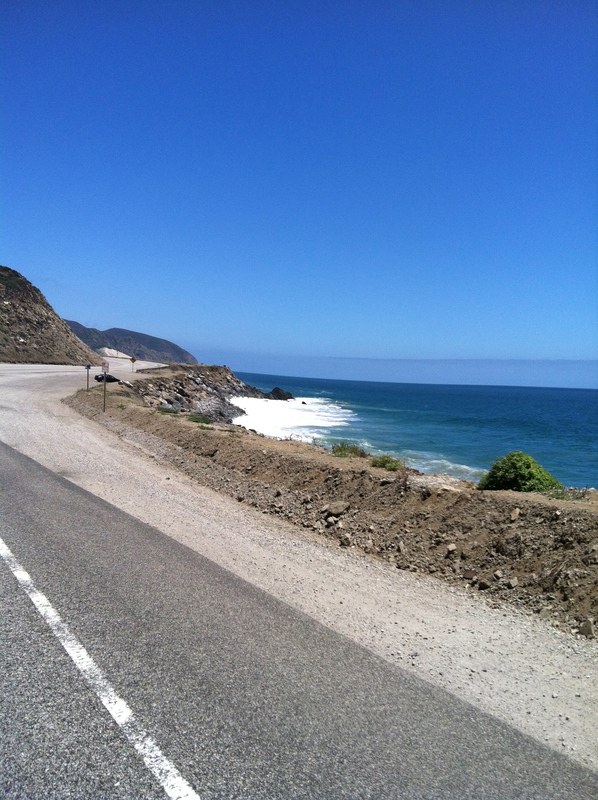 Coast Highway. 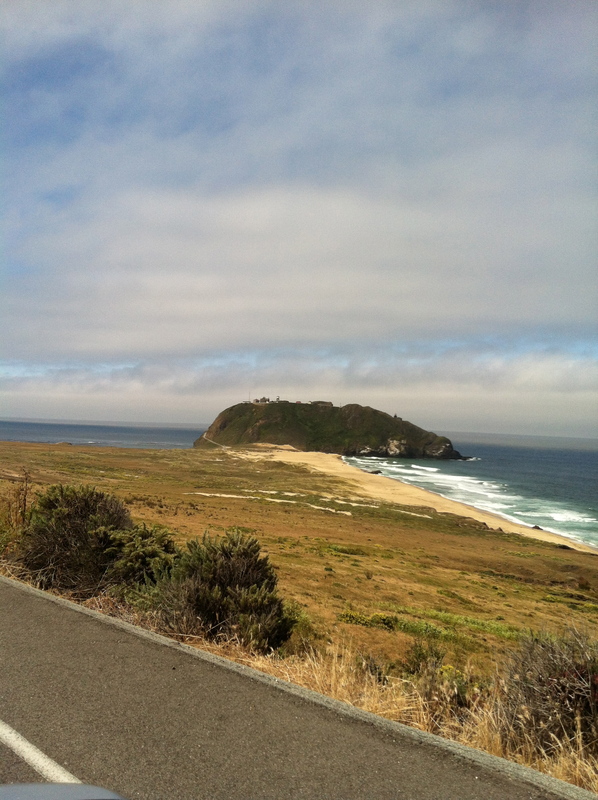 Heading toward San Francisco. Seriously people, it’s a two lane road. If you’re driving Miss Daisy, pull over and let me pass! 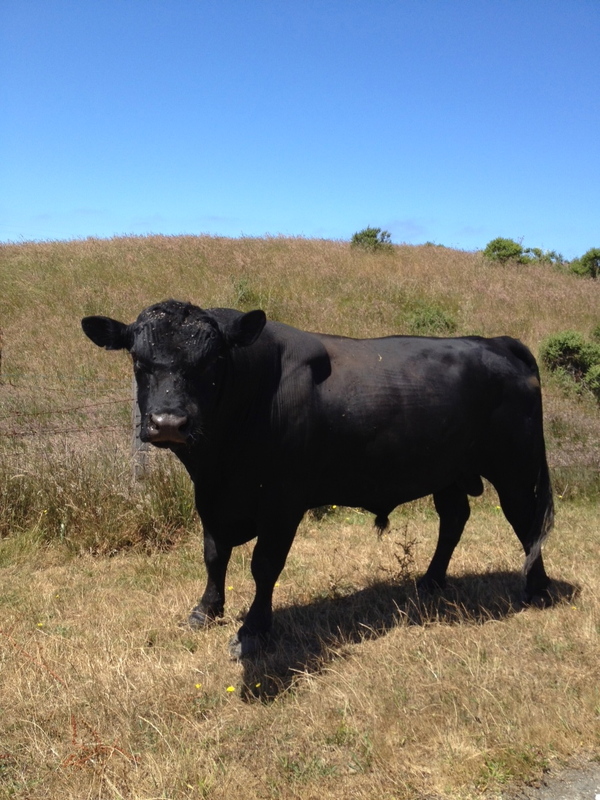 After passing dozens of “Cow Crossing” signs, we finally found this guy! 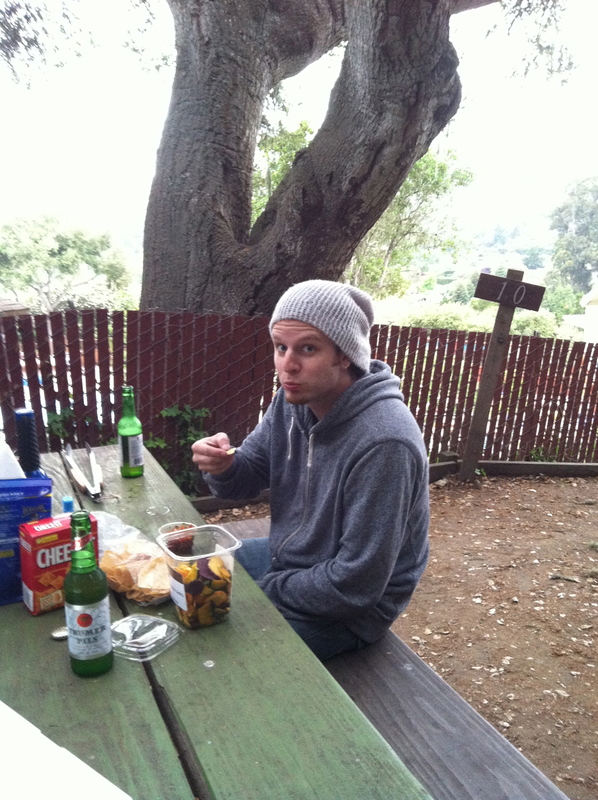 The intent was to find a campground in San Francisco and post up for the night. 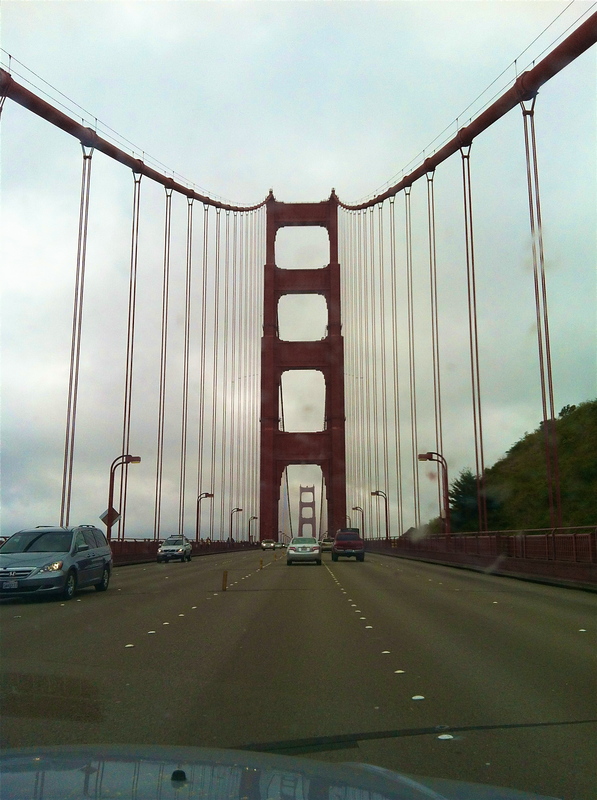 But true to memory, it was cloudy and chilly when we arrived. 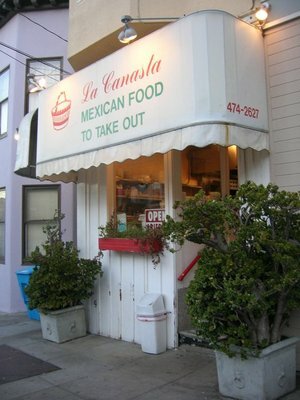 Temperatures were predicted to drop to around 30F overnight, so we quickly scratched the camping plan and moved on… after inhaling a burrito at La Canasta on Buchanan Street (between Union & Filbert). Their burritos are amazing. Then again, we were both starving and finished the food within two minutes, so who really knows. But I’d vouch for the place. Not to mention the older gentleman at the cash register who helped us was super friendly. Good service goes a long way. La Canasta. 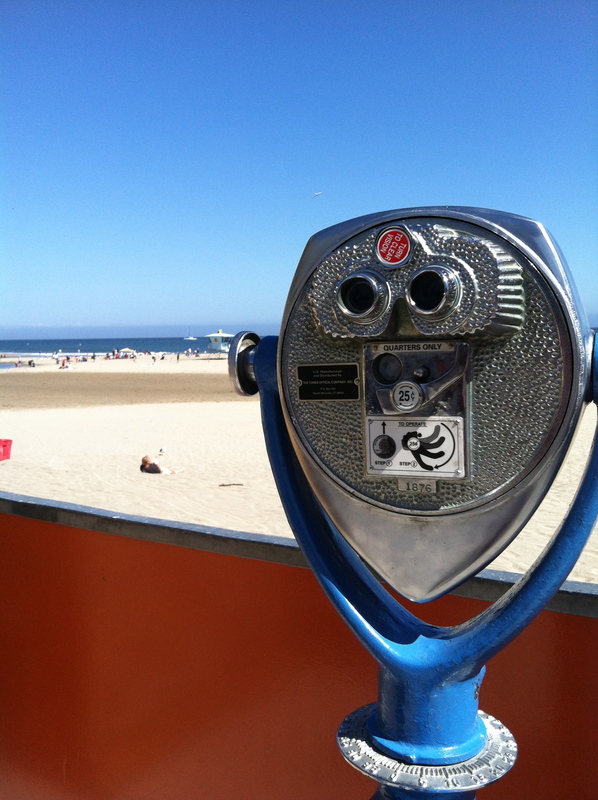 Photo courtesy of Luis C. on Yelp. South we went, in search of a decent campground. 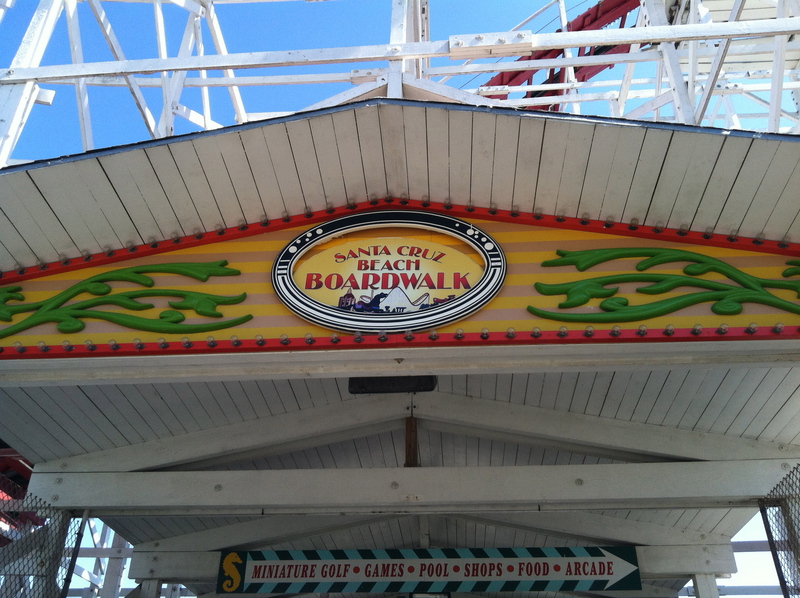 We made a quick stop in Santa Cruz, CA to walk along the beach boardwalk. A cherry Icee seemed only appropriate. 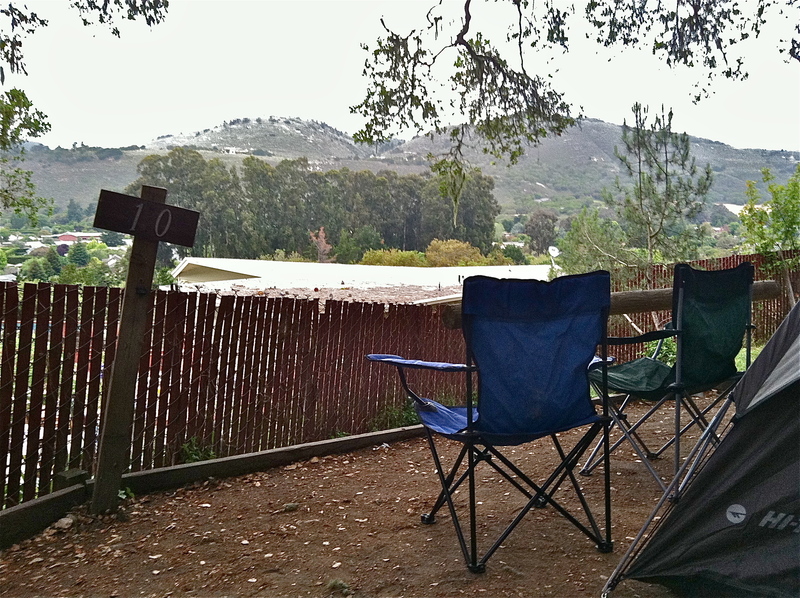 About an hour south of Santa Cruz is Carmel Valley, CA and the Saddle Mountain Campground and RV Park, where we set up camp for the night. 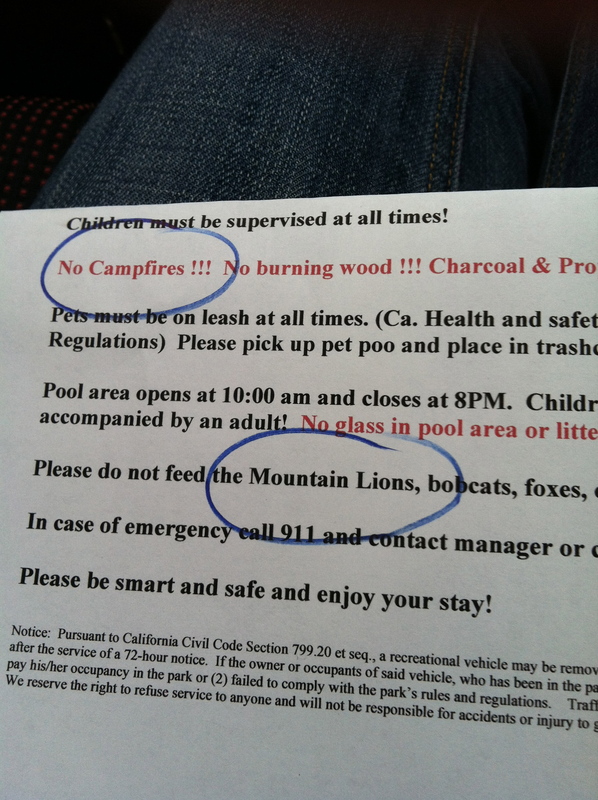 We were far from roughing it, being that the place had a pool, but apparently there was a chance we could be paid a visit by mountain lions and bobcats. What?!? Where were we?! 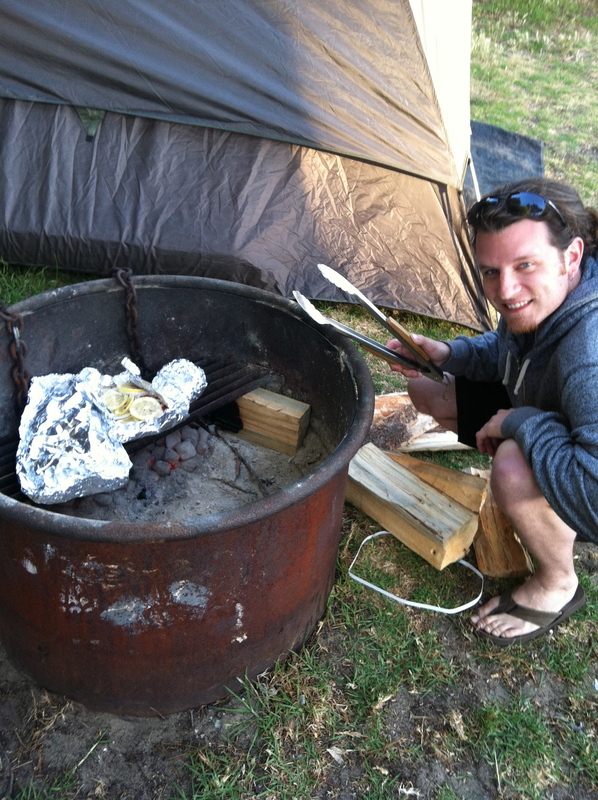 Oh well, we were just happy to set up our tent and barbeque dinner for the night. A little beer, a little wine, and some slightly charcoal-tasting skewers later, we were off to bed. 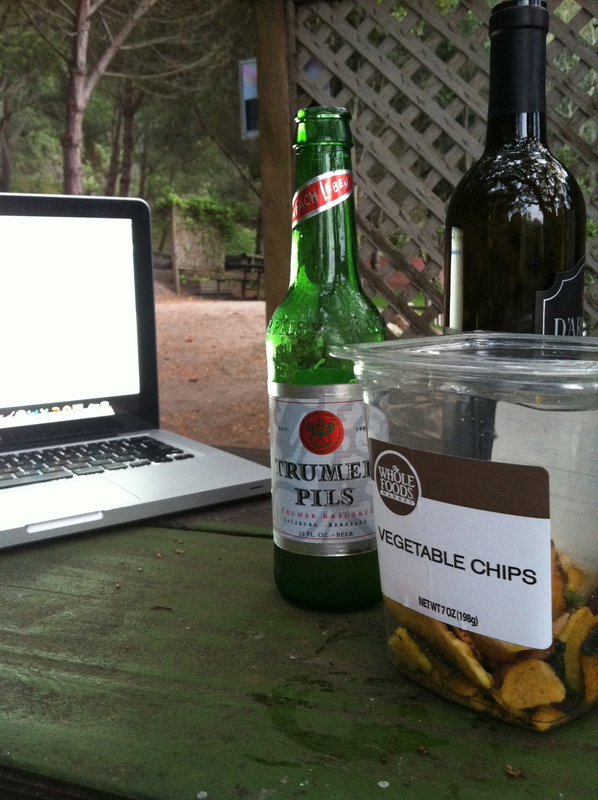 After laying in the tent for awhile, I realized I should have polished off the wine to sleep a little more sound. After a night of hearing moths fly into our tent, an animal that sounded like a cross between a hyena and a dog’s squeak toy, and the serious paranoia of being mauled by a mountain lion on a mid-night bathroom trip, we packed up the campsite in record time. It was fun while it lasted Saddle Mountain. 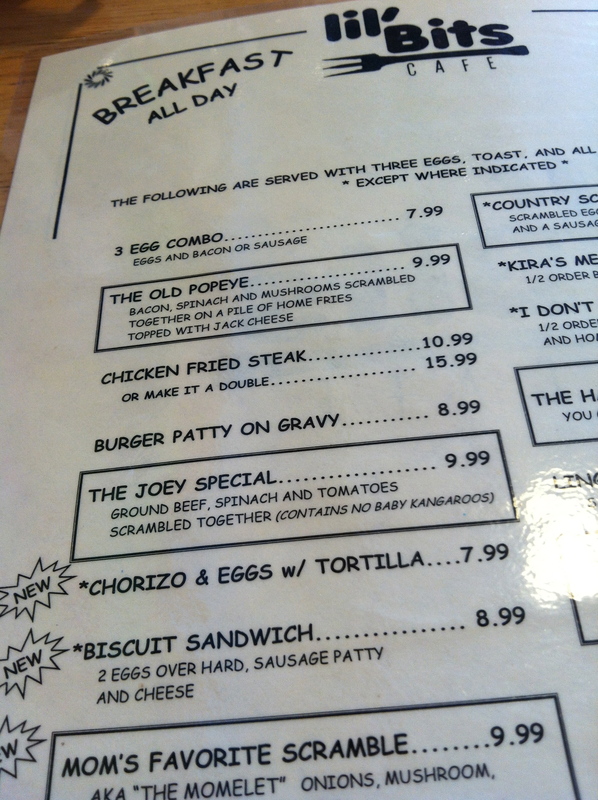 If you know Michael and I, you know that we love going out for breakfast. It’s our thing. 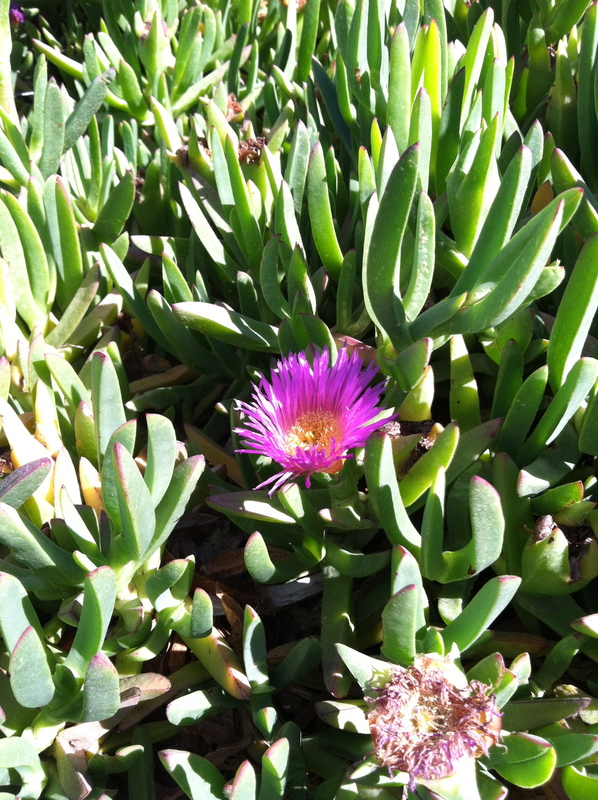 So before leaving Carmel Valley, we were determined to find a local breakfast place. 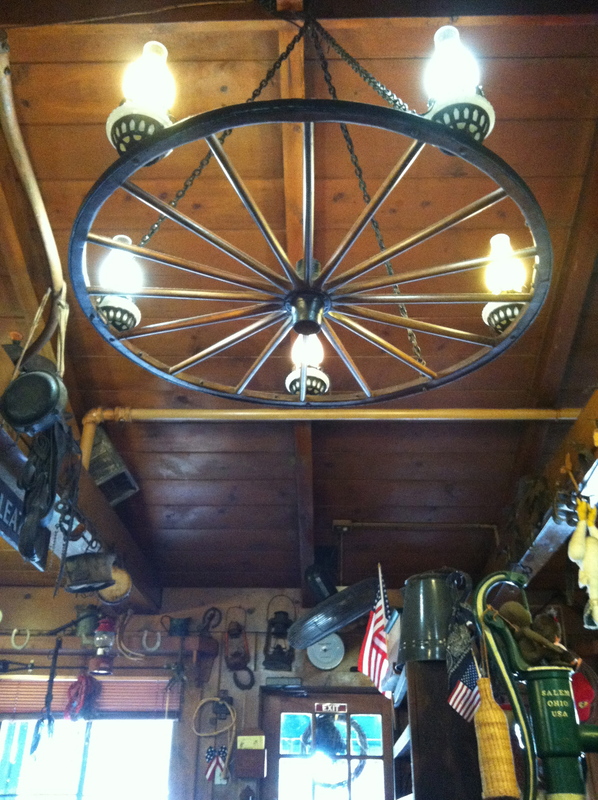 That’s how we came across the Wagon Wheel, whose establishment possibly holds the all-time record for western memorabilia. 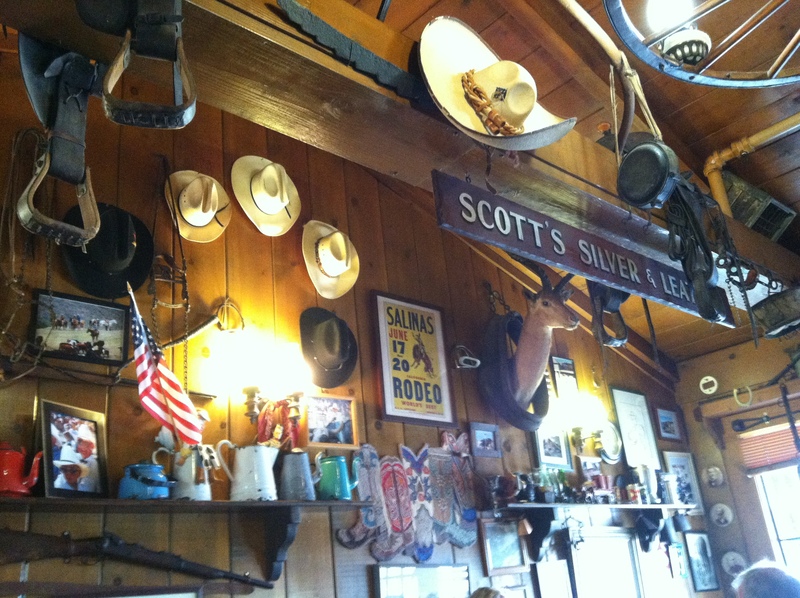 Good food, nice people, coffee, and cowboy hats. All good in the hood. 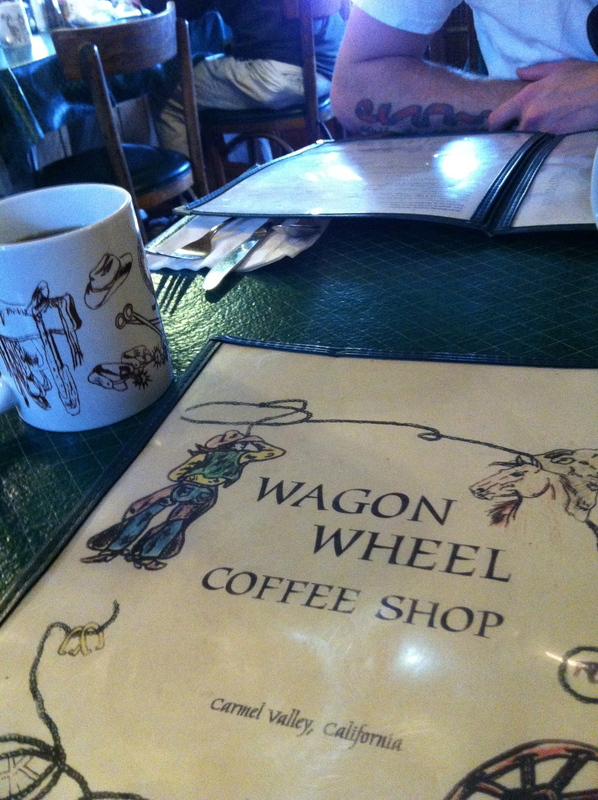 The Wagon Wheel. 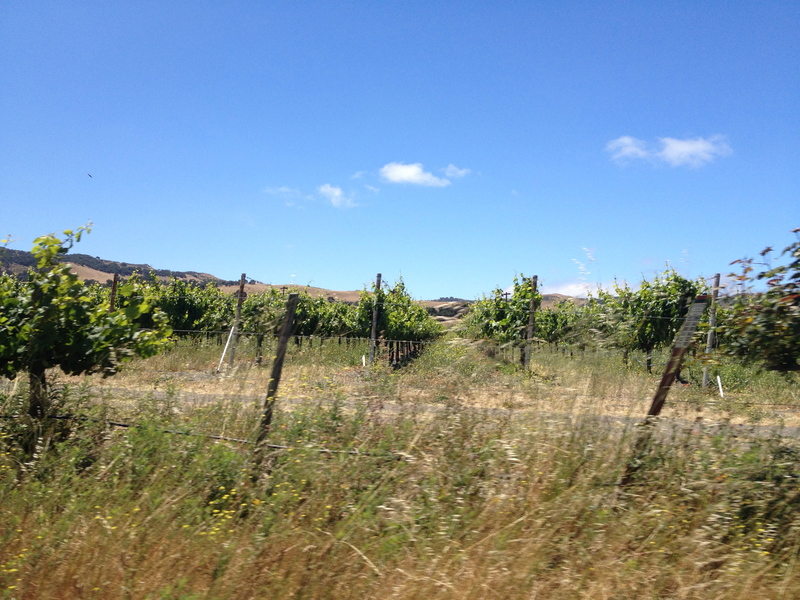 Carmel Valley, CA. The restaurant’s namesake, I assume. Day five. Undeterred by our first night’s camping experience, we were on the hunt for tonight’s campsite. 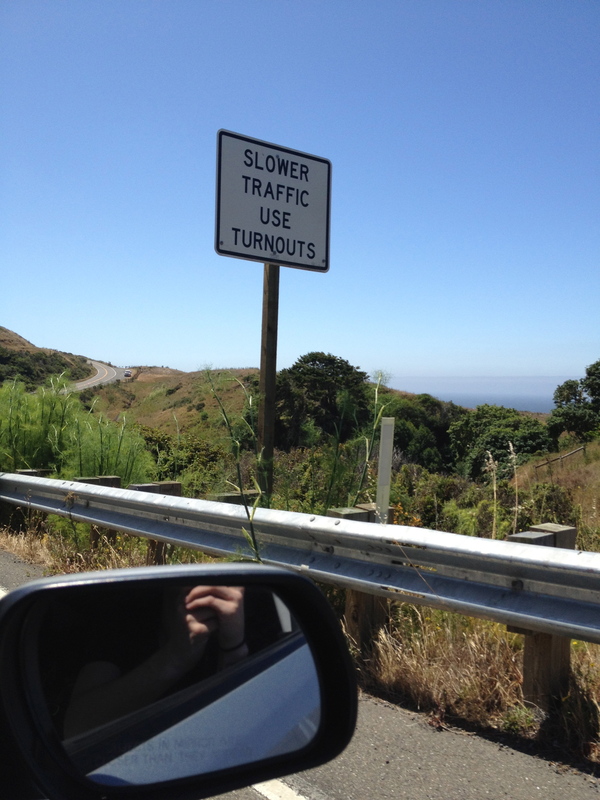 Our general plan was to drive as far as we could and look for a campground when we’d had enough. This type of plan would typically drive a Type A person like me crazy, but I’ve come to realize that I might be more of a Type A- or B+. 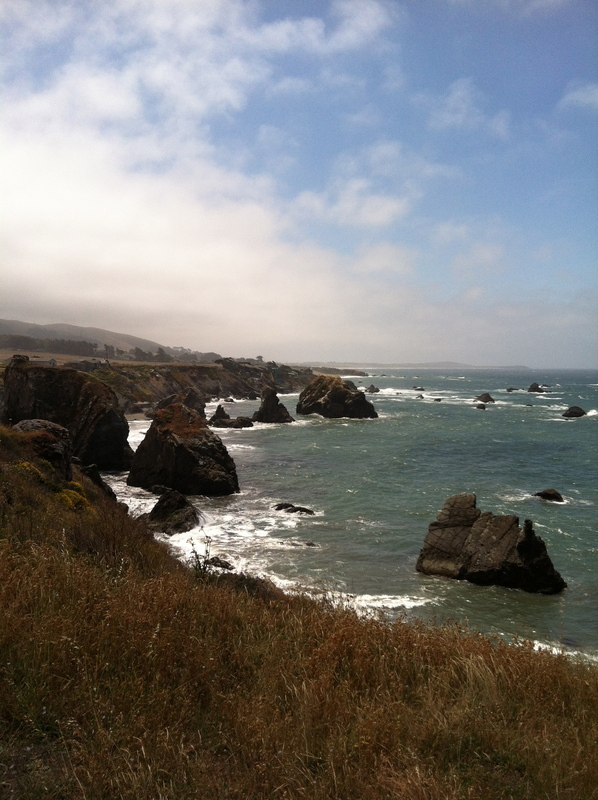 Leisure travel is a gray area; my happy gray area. 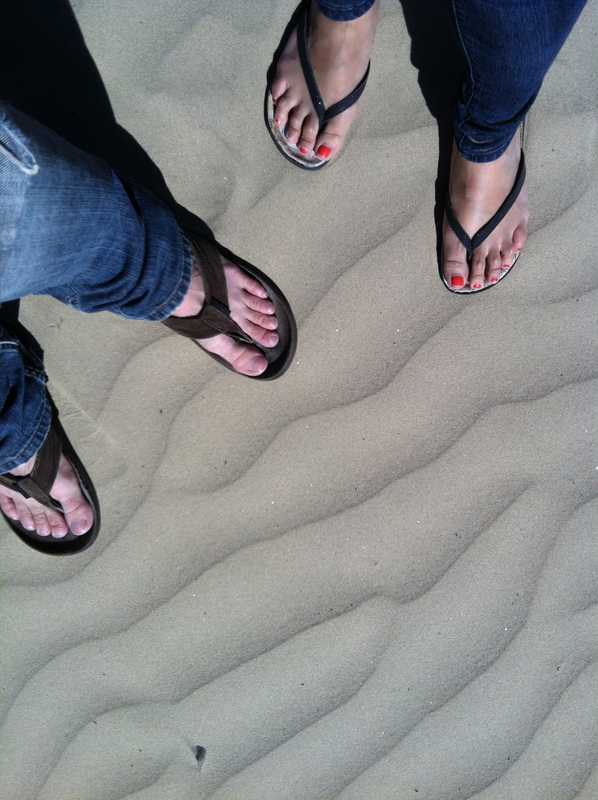 We decided to post up in Pismo Beach, CA. Anyone else get a flash of that scene from the movie “Clueless”? 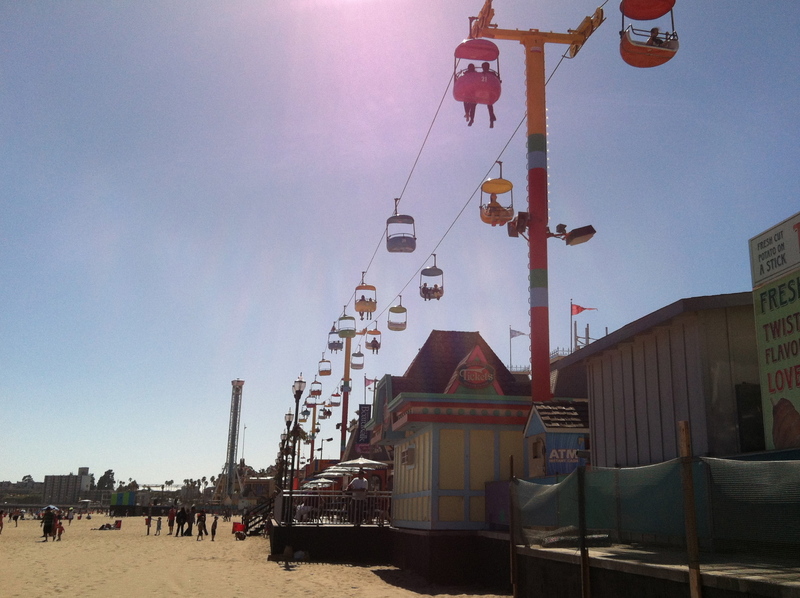 I always wondered where the skis from Cher’s Pismo Beach Disaster Relief drive were going. 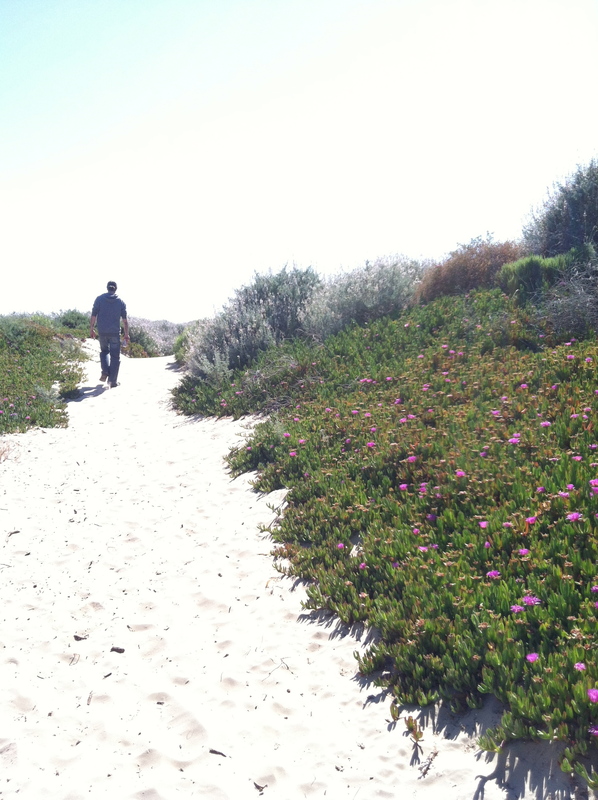 We stayed the night at the Oceano Campground and took a little nature walk to the beach before dinner. 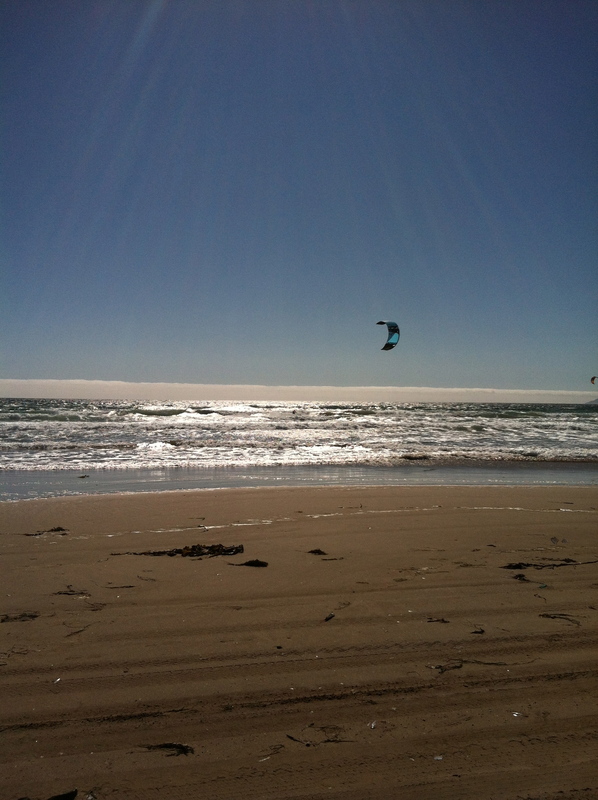 For all you kite surfers out there, Pismo is THE place to be. Windy doesn’t even begin to describe the beach. Michael and I could barely hear each other talking when walking side by side. 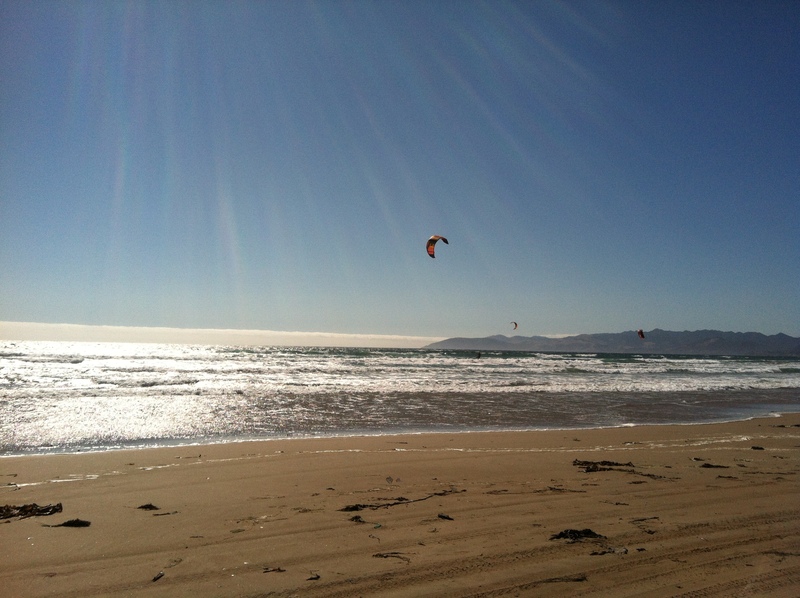 After the walk we had sand in our hair, ears, sweatshirt pockets, etc., but I’d never seen kite surfing in action before so it was totally worth it. 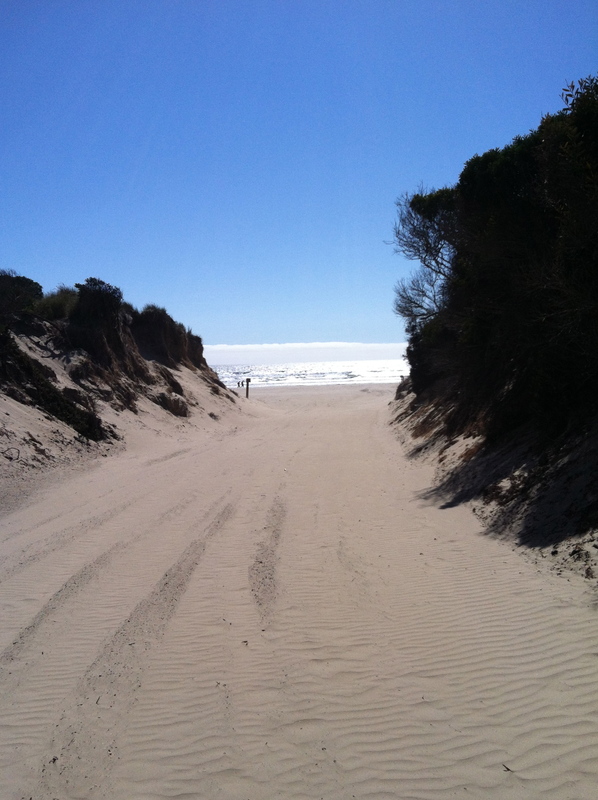 The entire beach area had ripples in the sand from the wind. For dinner, we stepped up our game a bit from the night before. 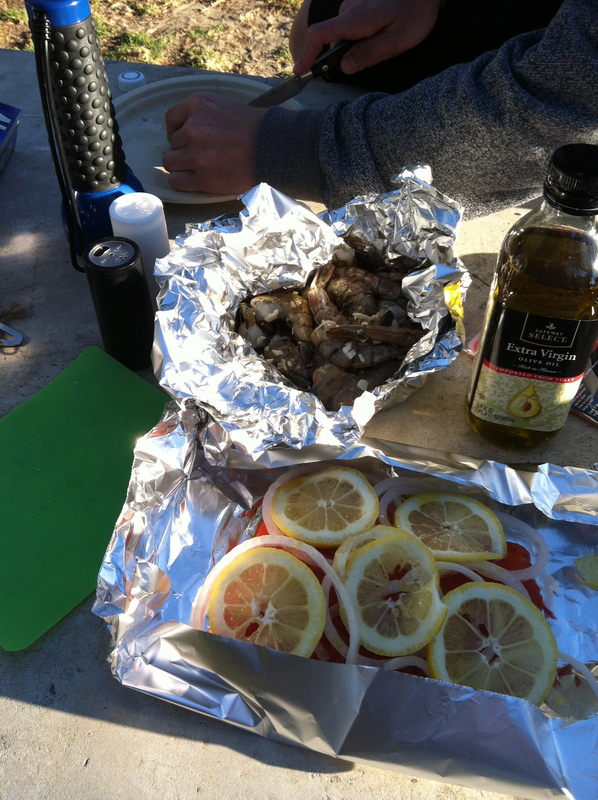 Instead of skewers, we made seafood and veggies. Instead of beer and wine, we had beer and Fireball. 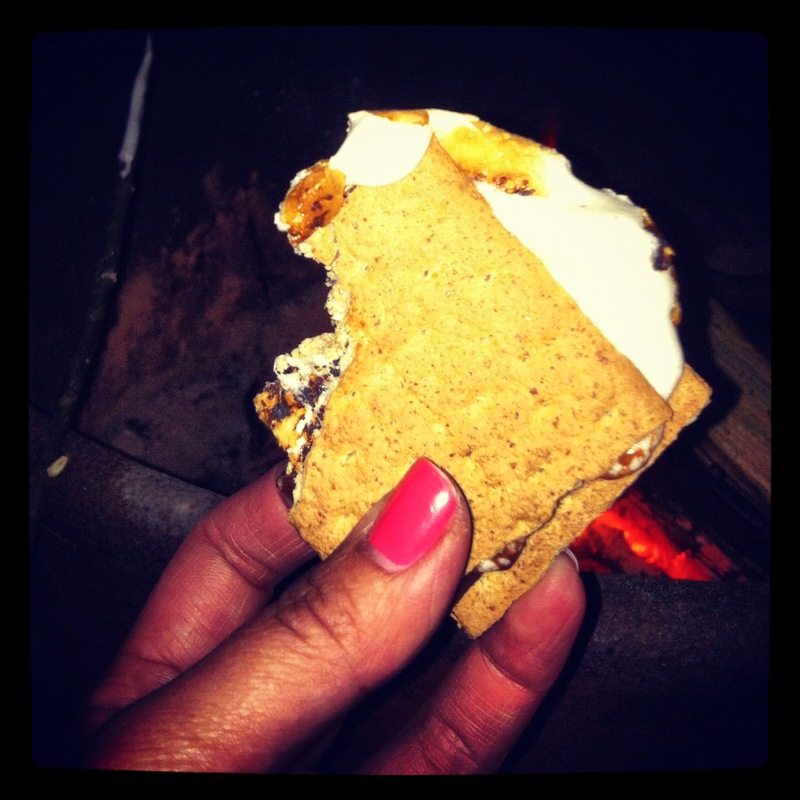 And for dessert, S’mores of course, which were really for the fun of roasting marshmallows rather than eating. Michael schooled me on the importance of finding the right stick, which is the key to good roasting. Right. Insert your choice inappropriate joke here. 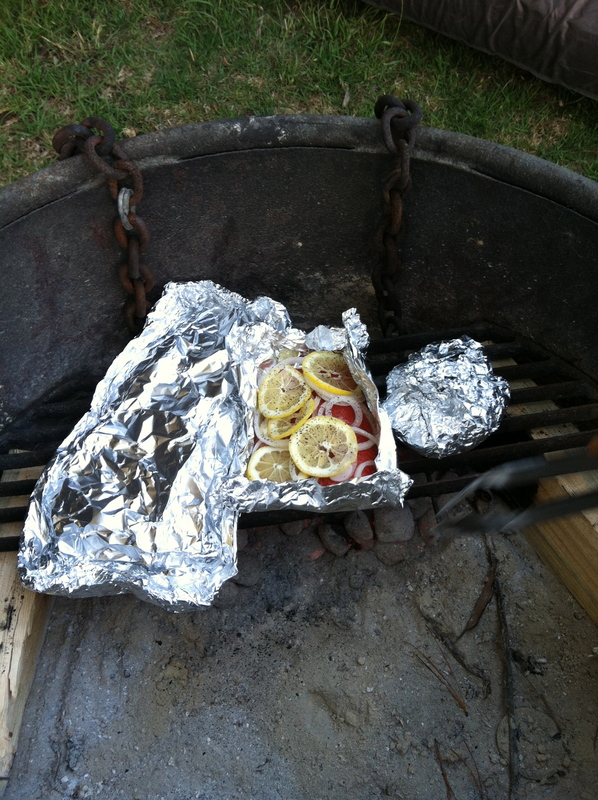 But really, all I ask is for you to be impressed that this was all prepared over a fire pit. Fireball a.k.a. our trusty third companion the next couple nights. 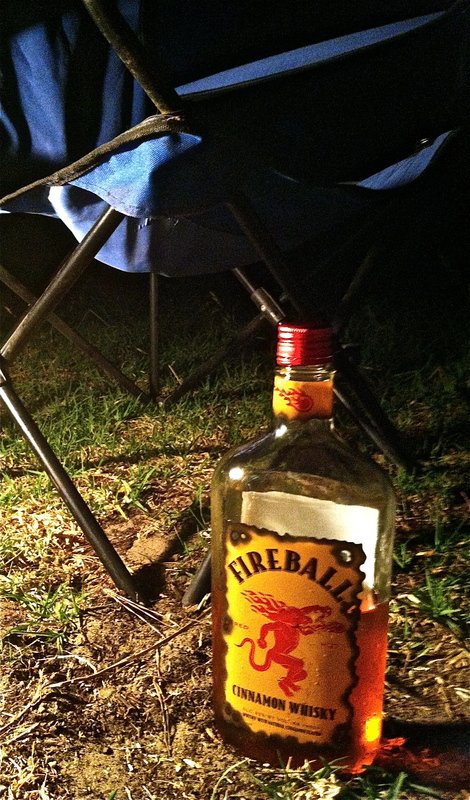 Side note: Fireball tastes sweeter when you’re camping next to families with dads drinking white wine and staring at you with your beer in hand, taking pulls straight off the bottle. In case you were wondering, we slept very well on night five. 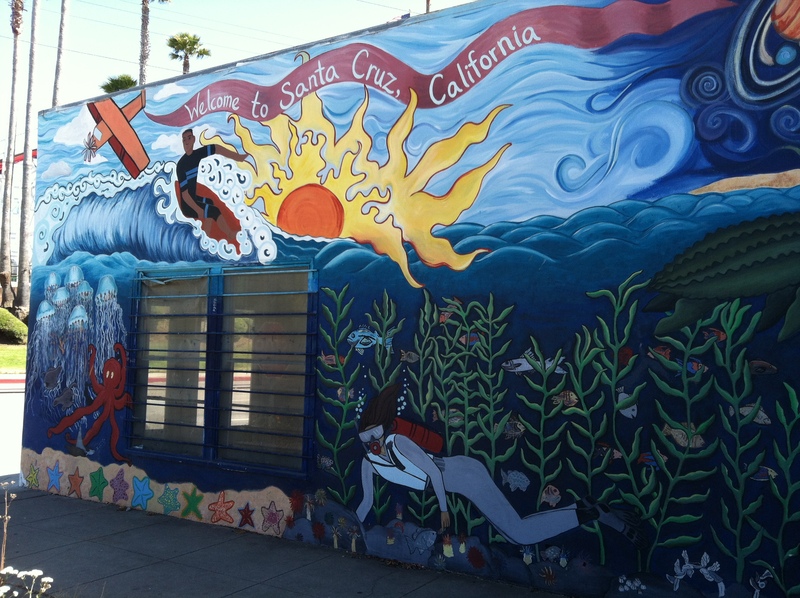 On day six, we decided to keep the good times rolling and headed out to find Pismo’s local breakfast spot. Here we found Lil’ Bits Cafe. I probably made the same assumptions you just did about the place, but this cafe was awesome. 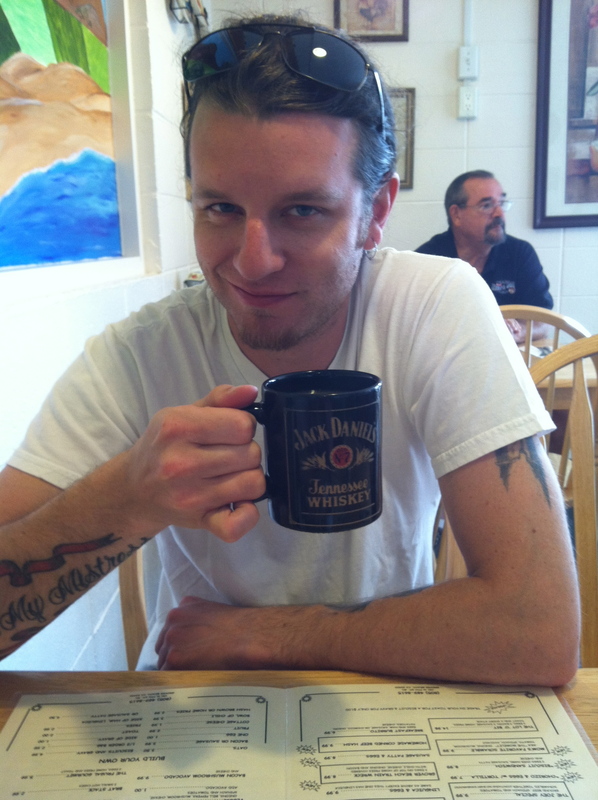 And not just because they had Jack Daniel’s coffee mugs. Regrettably I took no pictures of the food, but take my word for it – – order the homemade biscuit with the homemade blackberry jam. I can’t even describe how good it was. Lil’ Bits Cafe. 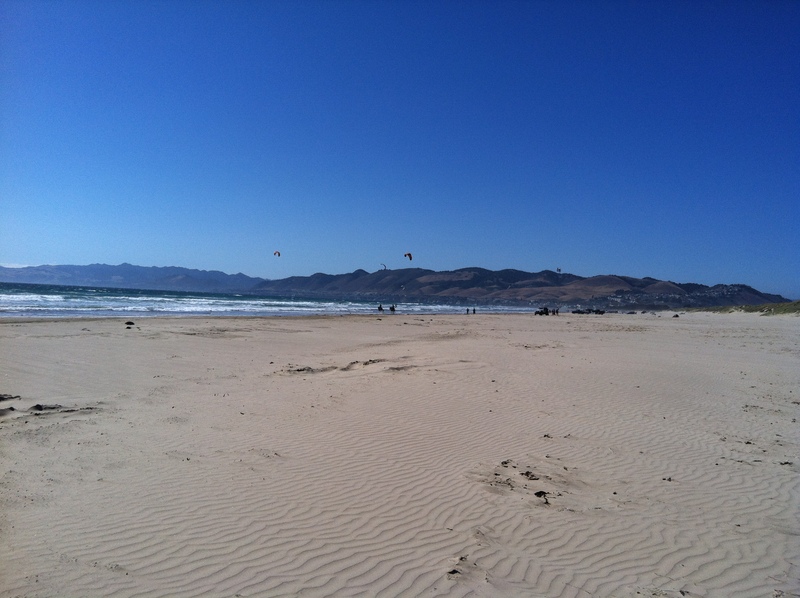 Pismo Beach, CA. Like it was made for him. Day six’s agenda has us heading to Los Angeles to spend some time with my brother and his fiance. 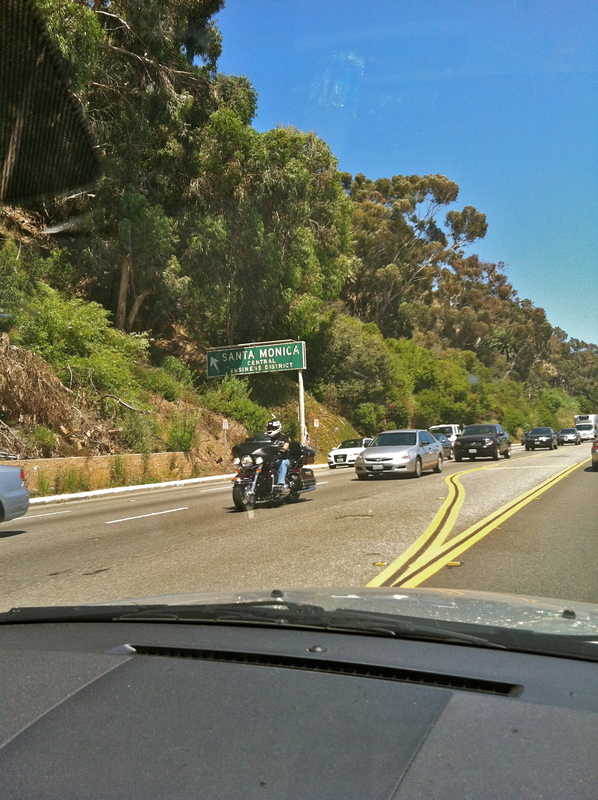 We took the Pacific Coast Highway (PCH) toward LA and found some campers who weren’t messing around. 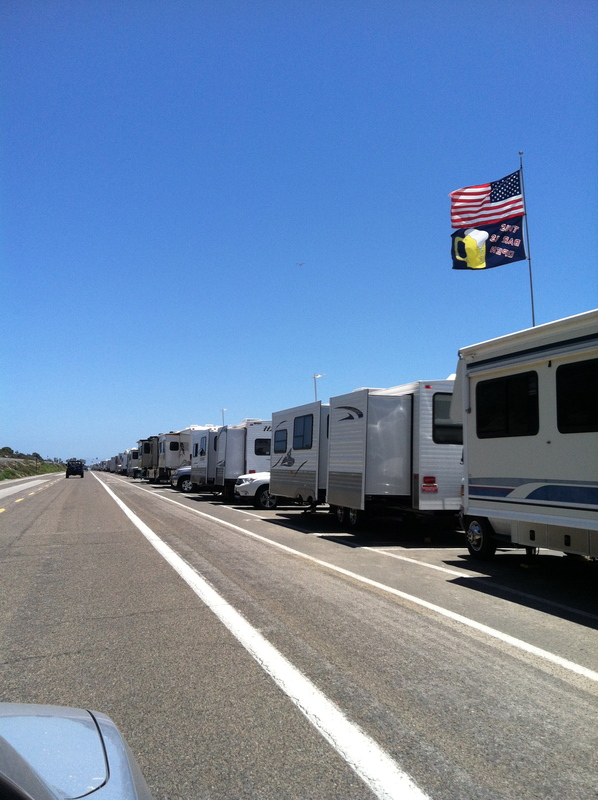 Campers lined up on the PCH for miles. 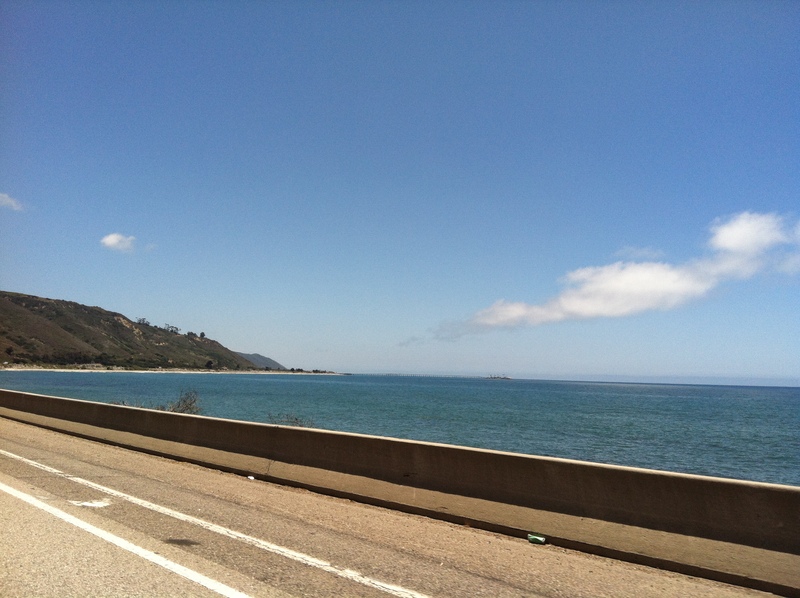 A few random shots between Pismo Beach and LA. Days six and seven were spent happily visiting, eating, and drinking with some of my favorite people. Hence photographs were not a huge priority at the time. 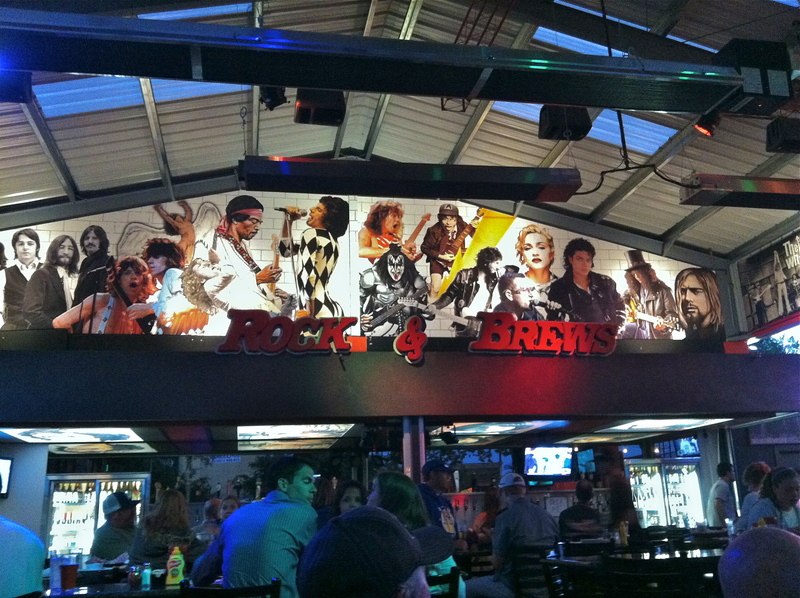 But my brother and his fiance did take us to a local spot called Rock & Brews Beer Garden. Straight from their website, they are “Rock & Roll, Cold Beer, Great Food… it doesn’t get any better! Keep on Rockin!” Cool open air restaurant with overhead heaters. Food was pretty good and the beer menu was available via a QR code (rad concept if it didn’t take so long to load on your smart phone). 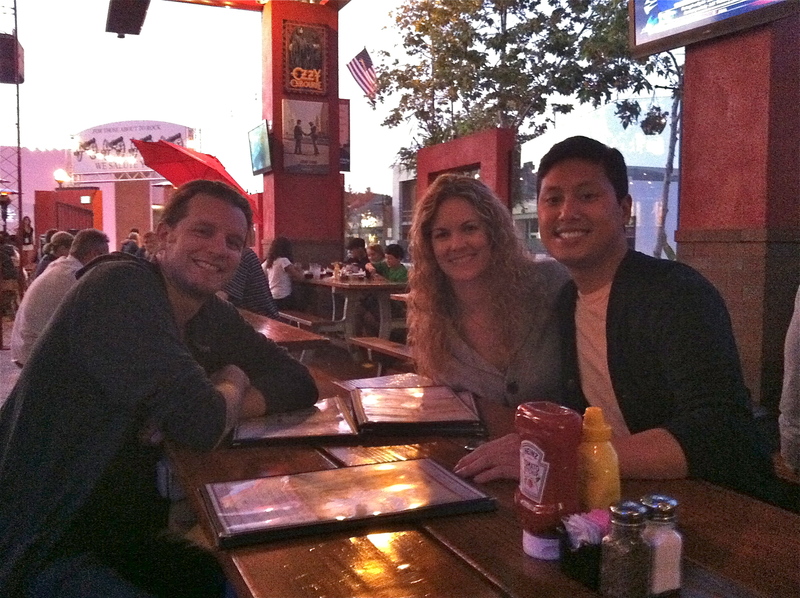 But it was my company that made the night, even if I failed at Rock Trivia 101… again.